​Scott Frost's 0-3 start at ​Nebraska has been lambasted in the national media, and for good reason. After a 13-0 "​national championship" season with UCF, the former Huskers quarterback was tipped to bring the once-great program back to national prominence. His poor start and 56-10 humbling Saturday afternoon Ann Arbor should earn him heaps of criticism from the sports media. And for some reason, the fast food industry is also taking shots at Frost. Jeez. Even Wendy's is ripping Frost now. 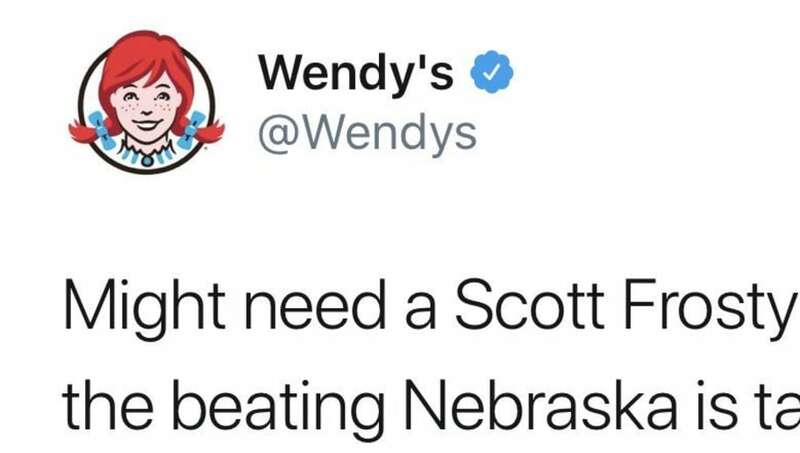 🤣🤣🤣 Wendy’s is scoring on Nebraska like my Wolverines!! Yikes. The funniest part about this whole ordeal is the fact that it's hard to disagree with Wendy's. Nebraska lost at home to rival Colorado, were stunned by Neal Brown and the upstart Troy Trojans, and were embarrassed by ​Karan Higdon and Michigan. He's the first Cornhusker coach to start 0-3 since the immortal Potsy Clark in 1945. After a Nebraska fan tried to take Wendy's to task over their unabashed sass on Twitter, Wendy's held nothing back. No one, not even Barbara, is safe from Wendy's. In fact, she deleted the above tweets. And as of this writing, she's deleted her entire Twitter account. A media member taking shots at Frost should just be white noise to him. However, when Wendy's, of all places, decided to get some licks in on Frost, it's hard to see how much worse it can get in Lincoln. It's still really early in Frost's tenure, but so far he looks more Mike Riley than Tom Osborne.